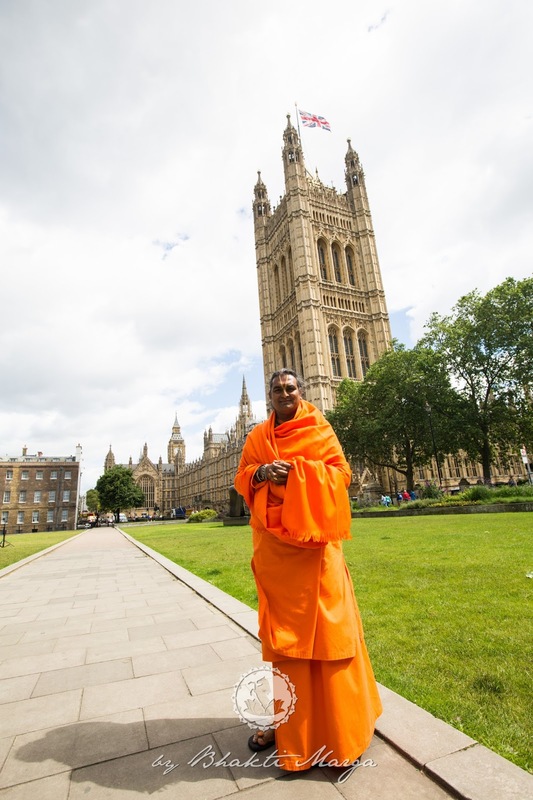 On Saturday, July 2nd, 2016, Paramahamsa Sri Swami Vishwananda was presented in the House of Parliament, the Bharat Gaurav Lifetime Achievement Award. Though never expecting this honour, Paramahamsa Vishwananda accepted this award tweeting out, "Receiving the Gaurav Award in the House of Parliament but #Love need no recognition, it's unconditional." Honoured to receive the award, Paramahamsa Vishwananda graciously spent time talking with the organisers of the award, including a dinner later with devotees and other guests. So what is the Bharat Gaurav Award? 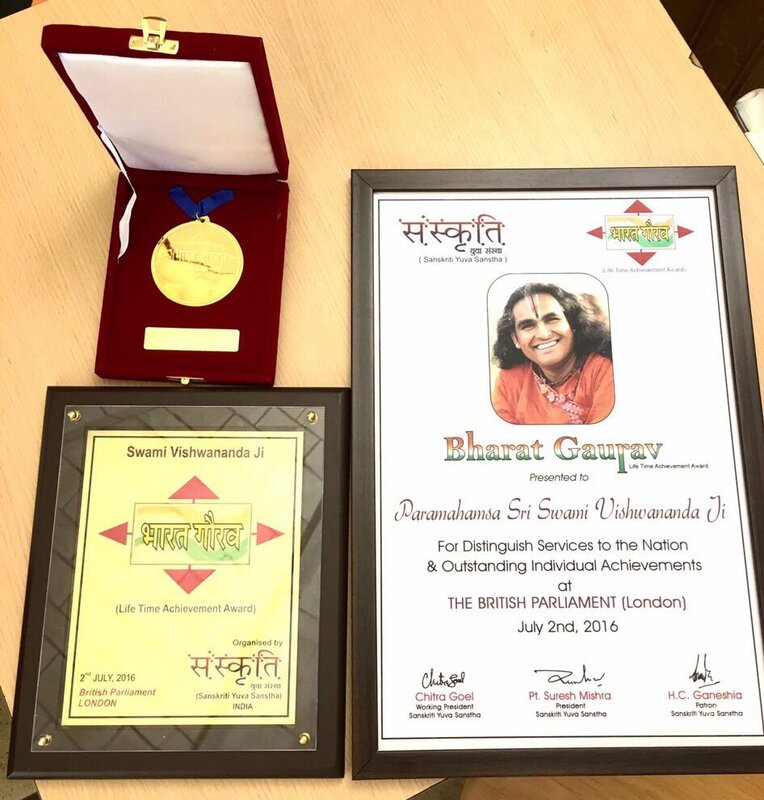 As mentioned on the Bharat Gaurav Award website, (http://www.bharatgaurav.in/), the Bharat Gaurav Award is a prestigious award given to a few selected people from all over the world who have achieved a landmark, or a great feat, in their working area. For Paramahamsa Vishwananda, it is apparent that he has received the award for all the work that he has done through Bhakti Marga. By guiding thousands of spiritual seekers, opening up temples worldwide, giving out various sadhanas to attain unity with the Divine, and so much more, Swamiji's life has been an immeasurable blessing for the planet and its people. 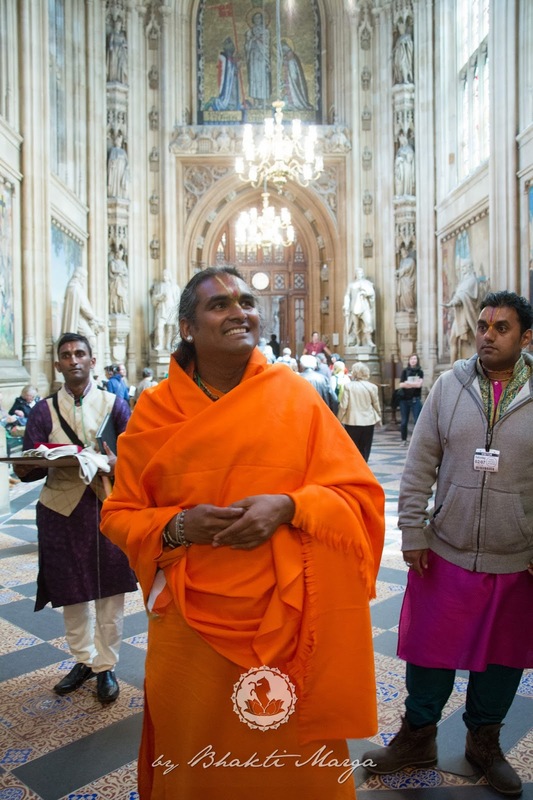 During Paramahamsa Vishwananda's visit to the House of Parliament, he was accompanied by devotees, who were thrilled to see Swamiji being publicly recognised for the incredible service that he renders to the world. All in all, the visit and award ceremony at the House of Parliament was a great success filled with smiles, gratitude, and the grace of the Guru. 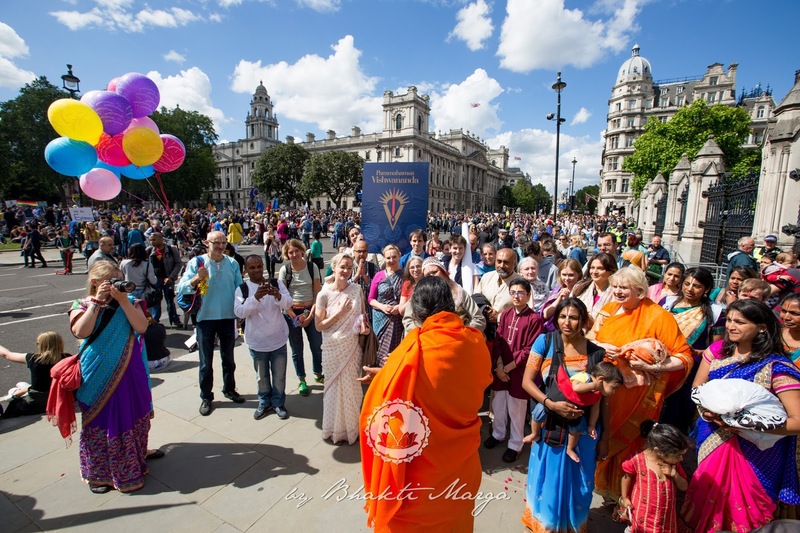 To see Paramahamsa Vishwananda honoured in such a public setting is not only inspiring but also motivating for each of us to continue and help grow his mission, Bhakti Marga, to the greater heights it is destined to reach. As Paramahamsa Vishwananda often teaches, it is not only about receiving Love, but it is important what we do with it once it has been received. For us to support Swamiji and his mission the most, we must share the Love that he is always giving, and become living examples of his universal teachings. That is how we can all give the greatest recognition to Paramahamsa Sri Swami Vishwananda.